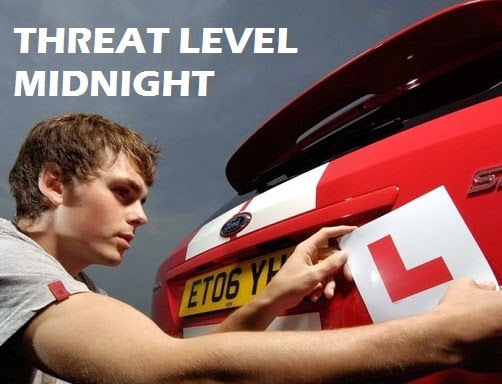 Russ Chaplin's Driving Instructor Blog: Driving Instructor or Amateur Psychologist? As a driving instructor you need to be so many things, a businessman, a marking guy, a physiologist, an accountant, a web developer, a teacher, an instructor, a safety expert and it goes on….. This is why I like the job, lots of different things to get your teeth into, in response to your post if I had a pupil that did not seem fit to drive then I would stop the lesson. I have even had this in the past where I have then had to drive the pupil home or even a few months ago not start the lesson, I turned up at the pupils house and I asked how they were doing, they did not look well, they said they were fine but I dug a little deeper and they admitted they were very tired and suffering from severe hay-fever, they said if they needed to drive on a non-lesson scenario they would not drive, so we agreed to postpone the lesson until they were feeling better.